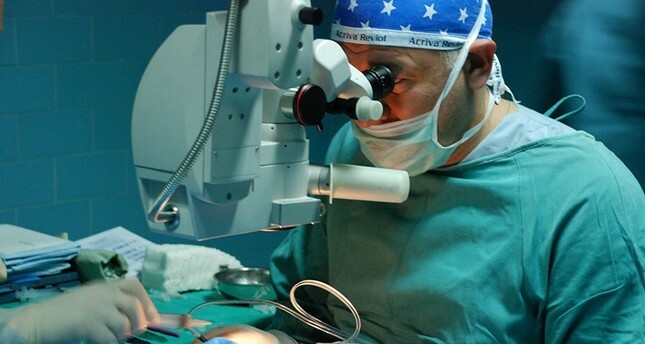 Turkey joins the Islamic Development Bank's (IDB) health project in Africa by offering 1 million cataract surgeries, the country's Health Ministry undersecretary Eyüp Gümüş said Monday. But after Turkey offered to conduct 1 million more cataract surgeries by 2022, he said, adding it was still insufficient given the needs. IDB President Bandar Hajjar added: "About 33 million people in Africa suffer from visual impairment while nearly 75 percent of these cases can be prevented or treated, especially those related to cataract." Hajjar said the bank expected other member countries to follow Turkey's move and scale up their efforts in order to achieve the sustainable development goals. "I call upon all IDB partners to support the Alliance with the aim of restoring sight for our brothers and sisters. It is a challenge to fight blindness but the collective efforts of all stakeholders, we are able to achieve our goals of ending blindness," Hajjar added. Gümüş told Anadolu Agency that Turkey will create an automatic control system named "Health Africa," which was launched in September to keep records of patients in Africa.